This technology term includes: Rubber plastic composite parts, rubber metal composite parts, silicone plastic composite parts, and silicone metal composite parts. 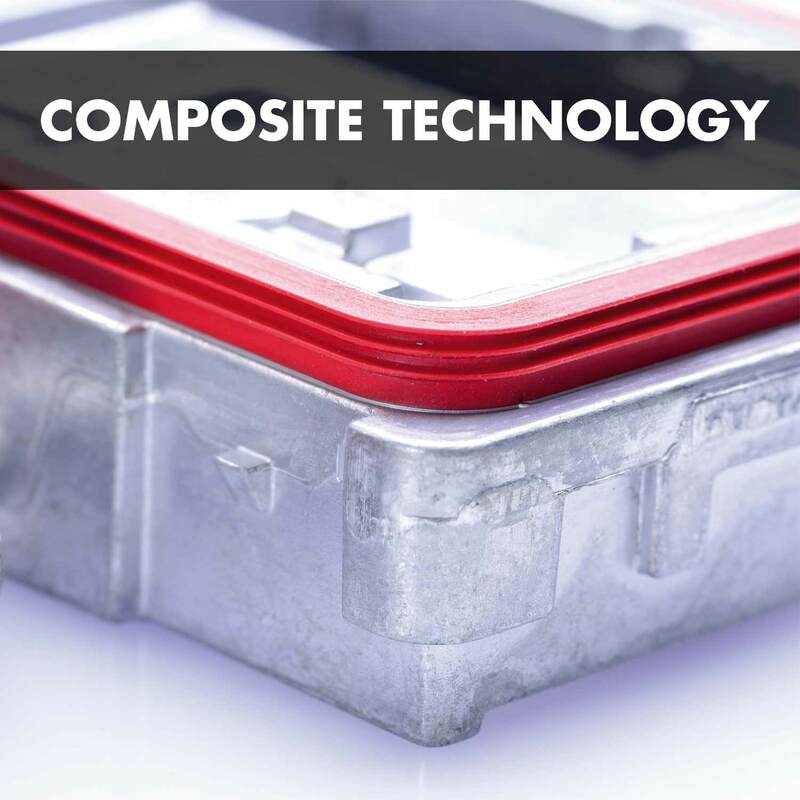 Composite parts consist of a fixed connection between two different components. Normally an elastic material is vulcanised onto a solid substrate. Stamped or bent sheets of aluminium, steel, stainless steel, etc. Proper pre-treatment is crucial for a permanently good bond. We have used all suitable pre-treatment processes in series production for many years. The latest technology is a special pre-treatment for cast parts in series production. This allows demanding tasks for composite parts to be implemented economically. 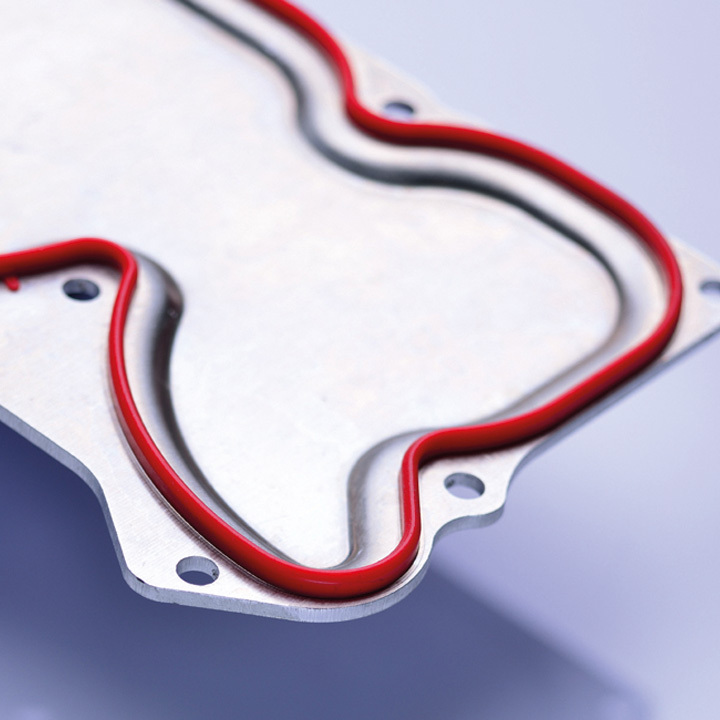 Composite parts are used in a wide variety of applications in all areas – be it as seals in control units in vehicles, as a damping element in vehicle or aircraft construction or as a shower head for home use.